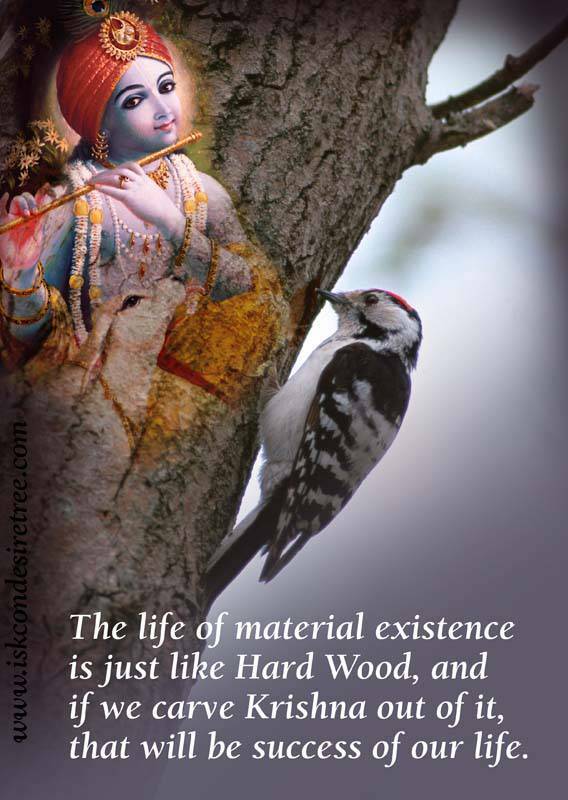 The life of material existence is just like Hard Wood, and if we carve Krishna out of it, that will be success of our life. 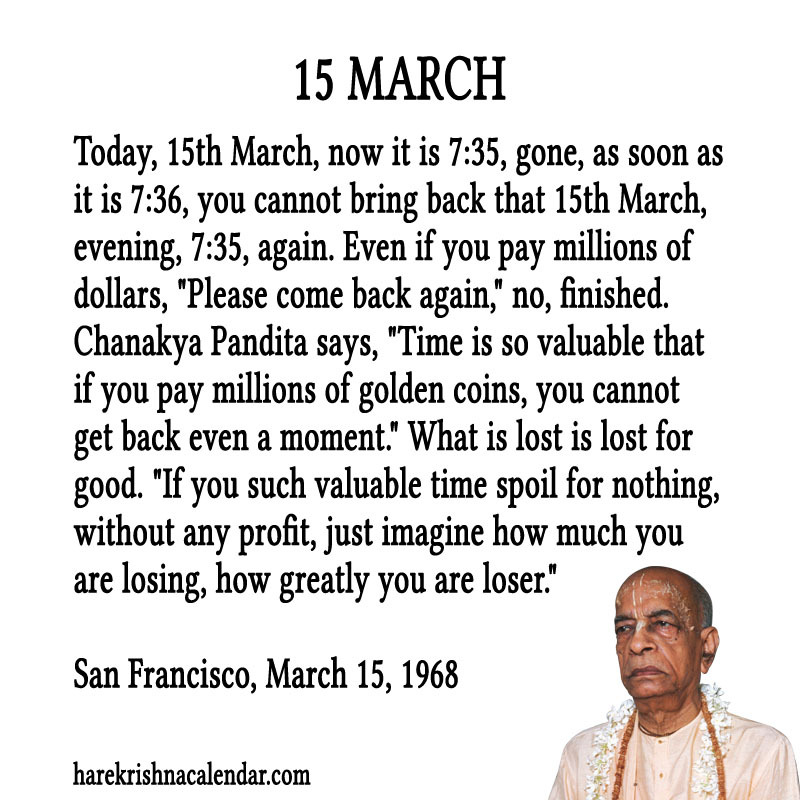 Ungrateful persons are those who do not understand how much benefit they are deriving by the arrangement of the Lord. 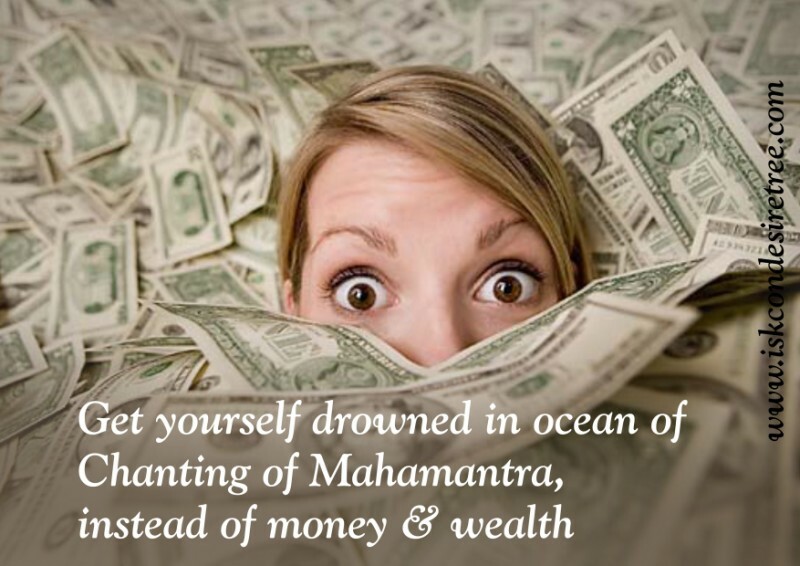 Get yourself drowned in ocean of Chanting of Mahamantra, instead of money & wealth. 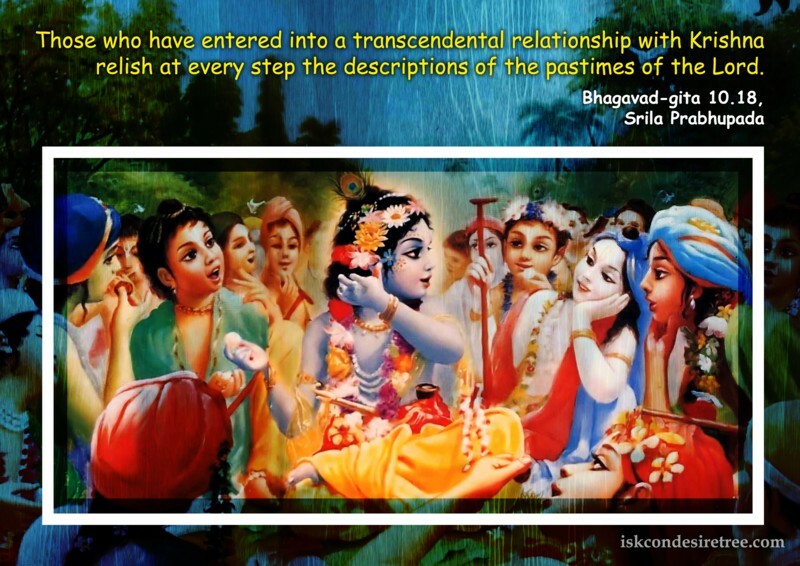 Those who have entered into a transcendental relationship with Krishna relish at every step the descriptions of the pastimes of the Lord. 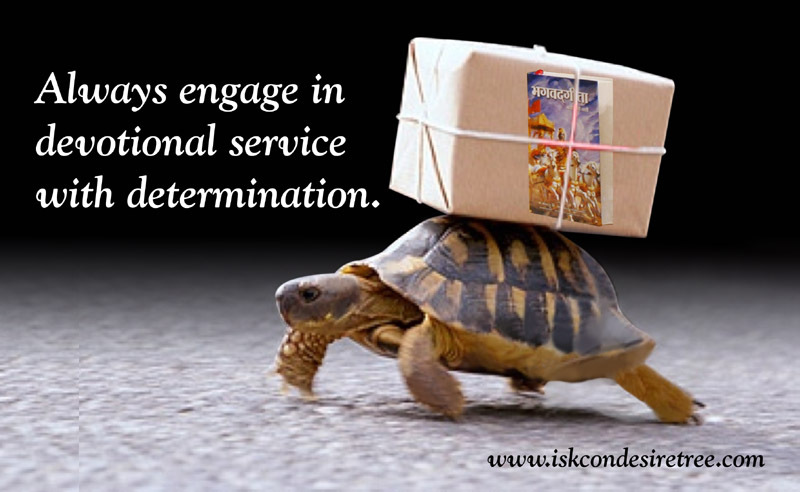 Always engage in devotional service with determination. 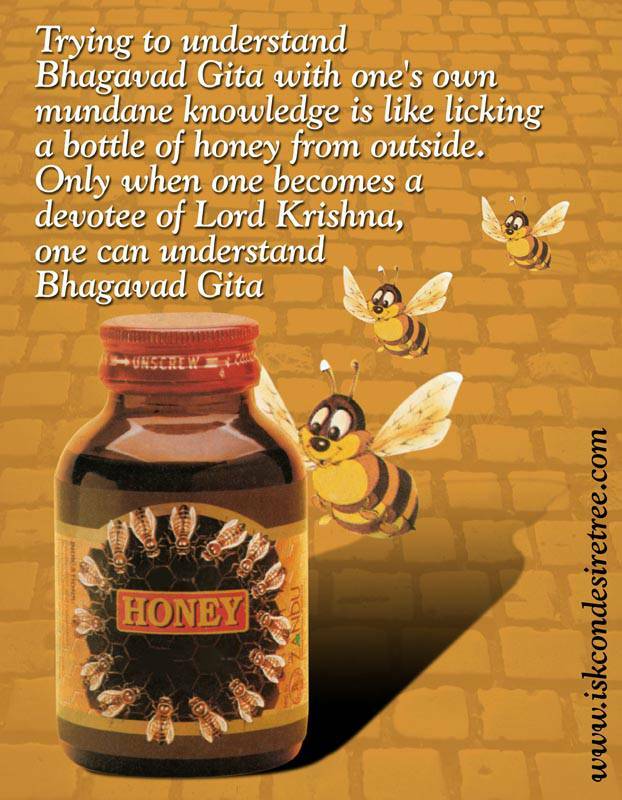 Trying to understand Bhagavad Gita with one's own mundane knowledge is like licking a bottle of honey from outside. 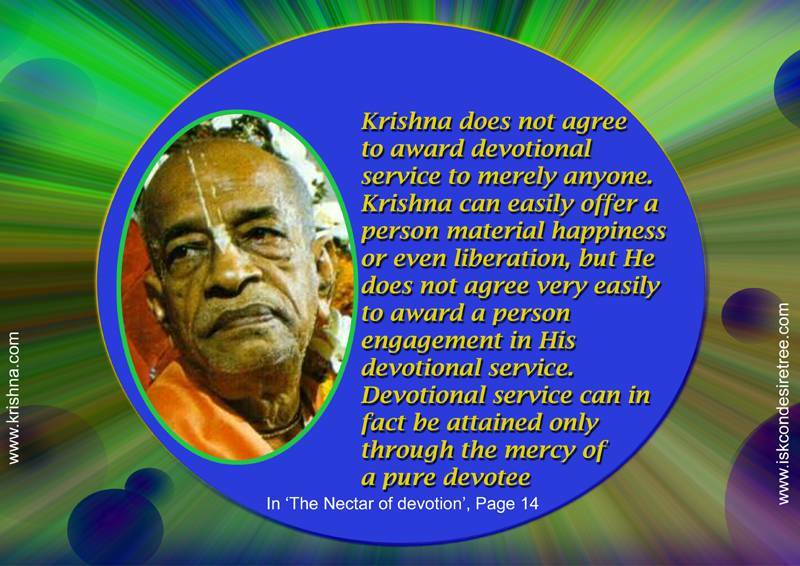 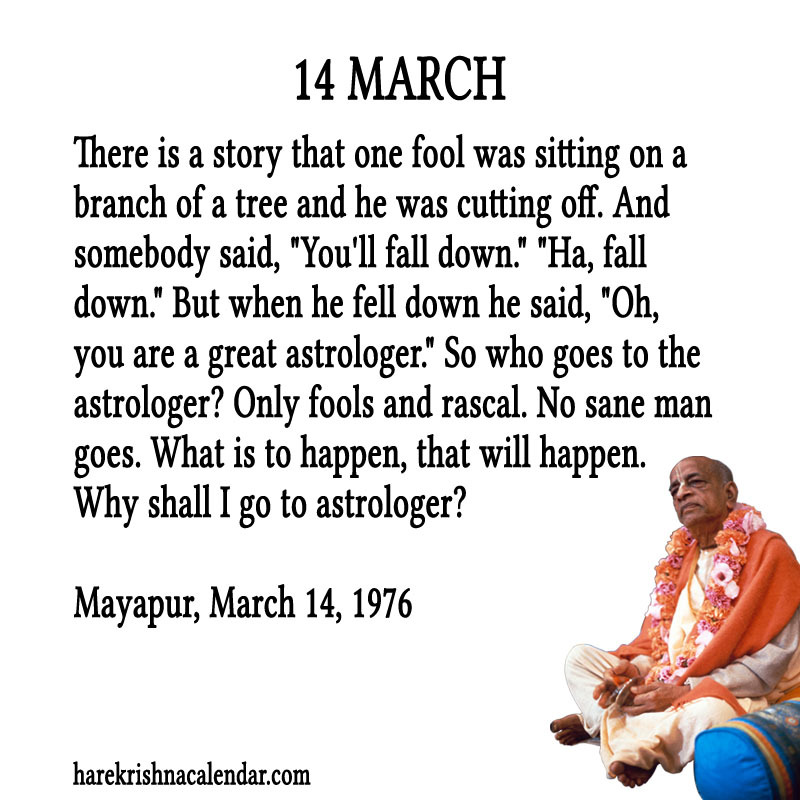 Only when one becomes a devotee of Lord Krishna, one can understand Bhagavad Gita.